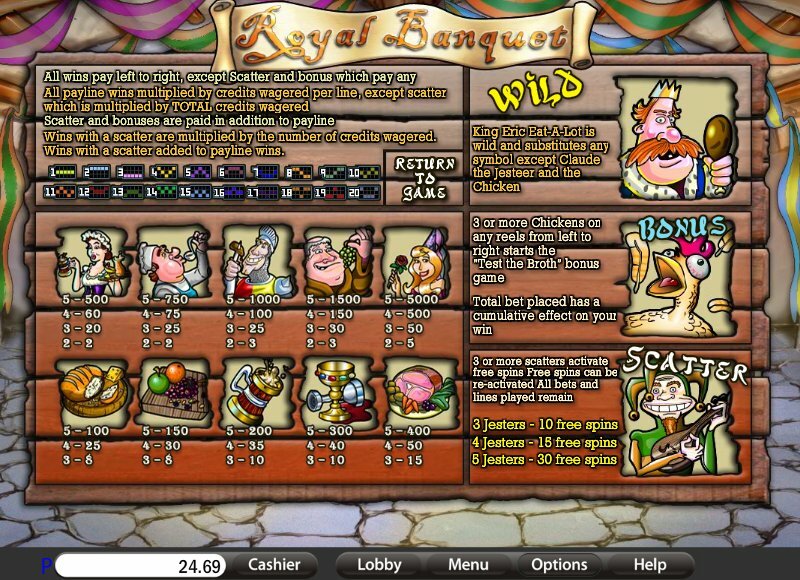 Overview: King Eric Eat-a-lot invites you to enjoy the food, fun and delights of the medieval court! WIN UP TO 50,000 COINS! 20 LINES, UP TO 30 FREE SPINS, WILD! 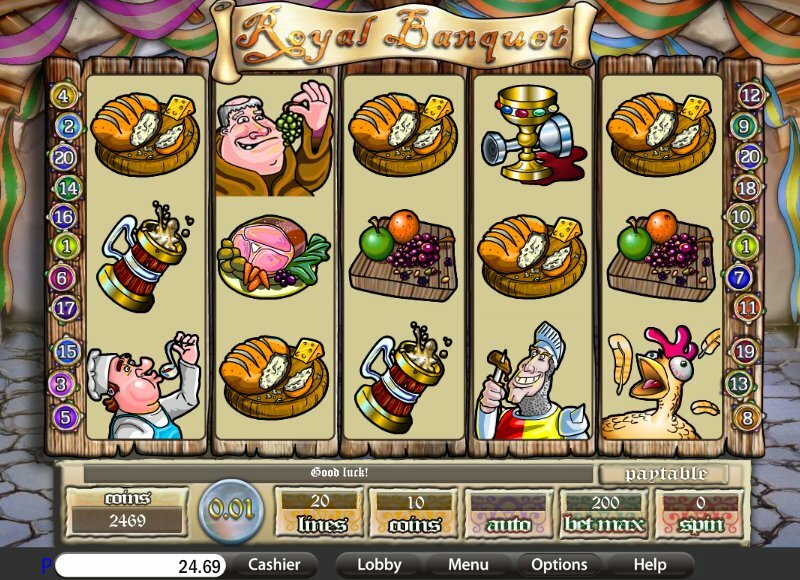 Similar Slots: If you like Royal Banquet, you might like these other slot machines from Saucify: Dream Wheel, Horn of Plenty, Legends of Avalon - Progressive, Peek Physique, Yeti Hunt:i3D.